Protesters in the Bharatpur district of Rajasthan of the Jat community blocked the Mathura-Alwar railway track on 23 June demanding grant of OBC reservation benefits to the community in Dholpur and Bharatpur. The blockade came as the state OBC commission submitted its report to chief minister Vasundhara Raje today. The community members held a 'mahapanchayat' near the tracks and then blocked the railway line between Vehaj and Bedham railway stations, a GRP official said. 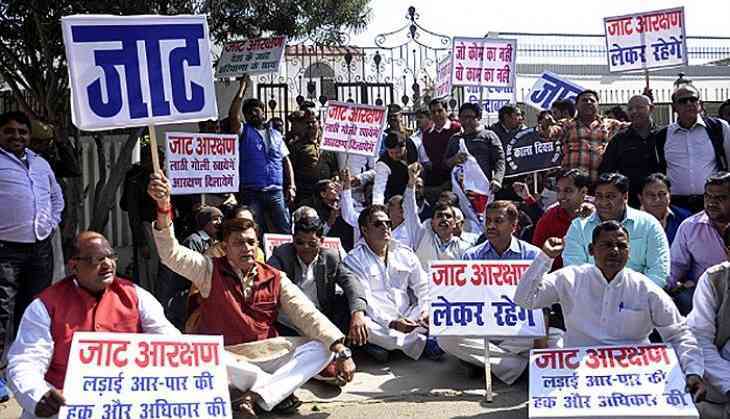 The protesters were led by Congress MLA Vishvendra Singh who are demanding reservation for the Jats of Dholpur and Bharatpur districts. "We have been demanding OBC reservation for Jats of Dholpur and Bharatpur for the last two years. From August 2015 till today, the long pending demand has not been fulfilled. It is under rising pressure that the OBC Commission has submitted its report today. But, they have not declared when it will be implemented. We want government to come out clear," Singh told PTI. He said that people are agitated and the blockade will continue tomorrow. A GRP official said that a goods train was stopped by the agitators near Deeg in Bharatpur. Earlier in the day, the state OBC commission submitted its report to chief minister Vasundhara Raje at her residence in Jaipur. The commission chairman Jitendra Goyal submitted the report in the presence of Panchayti Raj and Rural development minister Rajendra Rathore, social justice and empowerment minister Arun Chaturvedi and vice chairman of the '20 point programme' Digambar Singh.